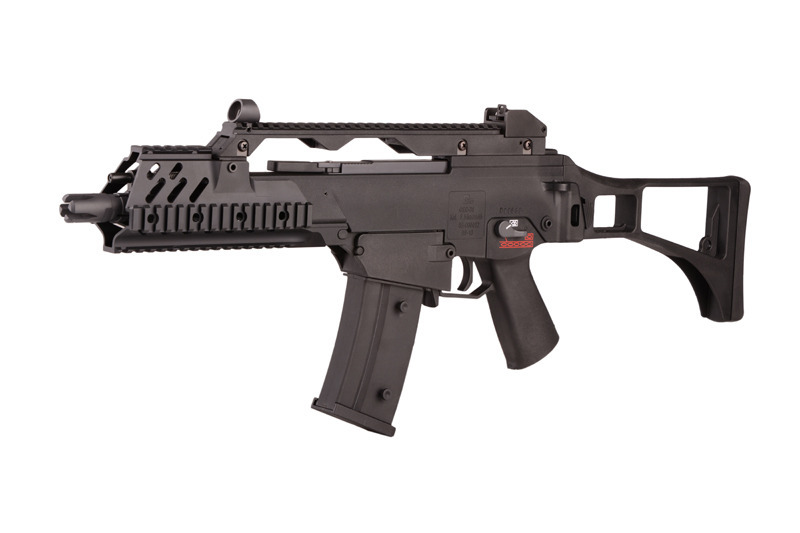 The GEC36 RIS is a replica of the ever so popular HK G36 and belongs to the G&G GT Advanced series; which is characterized for its excellent quality craftsmanship - both inside and out. The GEC36 appears incredibly solid and are very efficient on the airsoft battlefield. 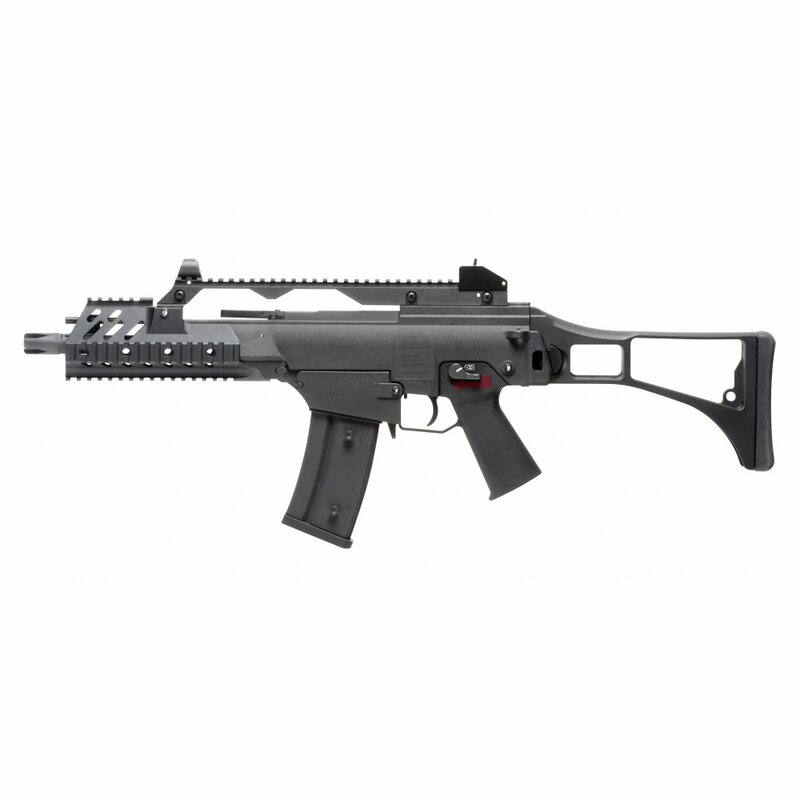 The replica replicates the live firearm in that it is mostly made from a light and durable polymer reinforced with fibreglass. 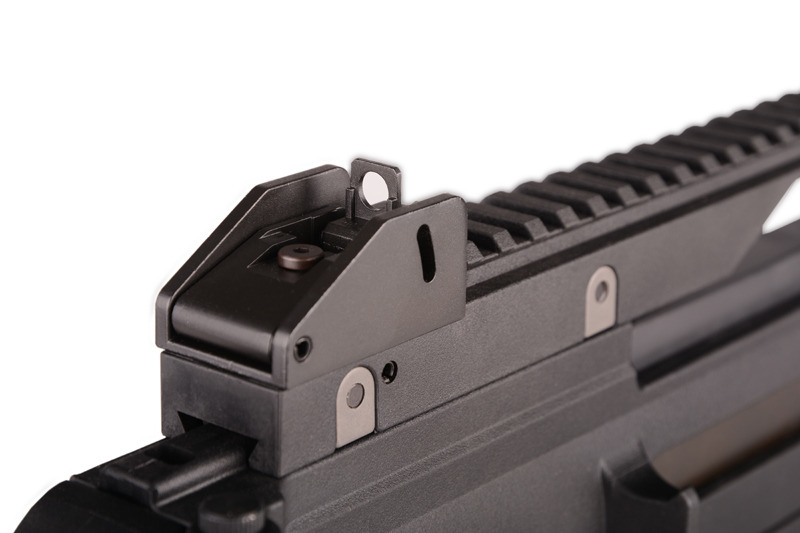 Parts made from metal (including high quality aluminium) include: the outer barrel, front RIS rails, flash hider and iron sights. GEC36 features a bolt replica in a "Heavy Bolt" version - made from steel, which makes its mass much bigger than in other competitive replicas and thus close as in gas replicas to the weight of live firearm original. 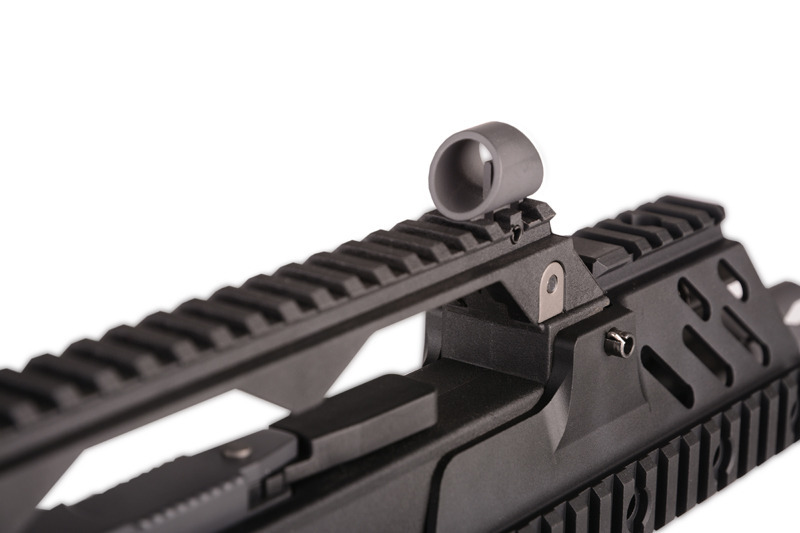 The assault rifle is equipped with a long, 22 mm RIS rail on the top handle, which enables the attachment of a wide array of optics and tactical devices. 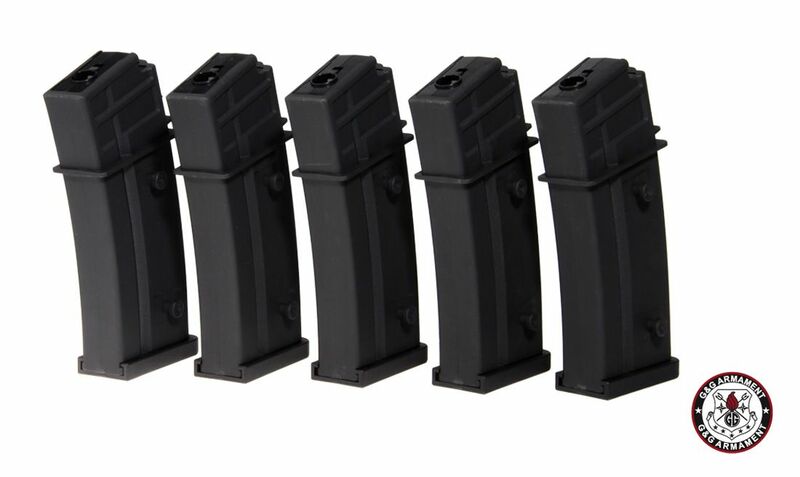 The receiver material features an anti-slip, rough texture also the replica features a stock foldable to the side with a comfortable, rubber stock pad. 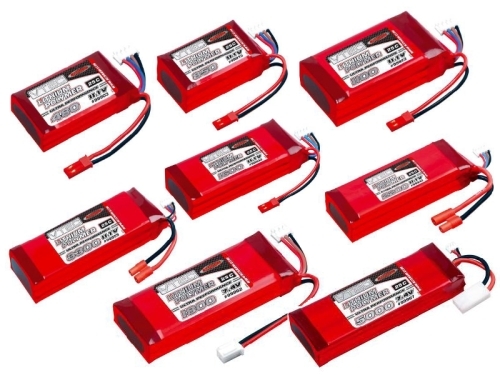 The battery is stored inside the handguard - it can be quickly removed upon the removal of a single mounting pin.